Singapore is an excellent hub for travel around Southeast Asia. We stopped in Singapore after our adventures in Cambodia and Vietnam to rest up in a bit of first world luxury before continuing #DrJSabbatical in China. Singapore was the one destination on our extended 6 week trip that we'd visited before. 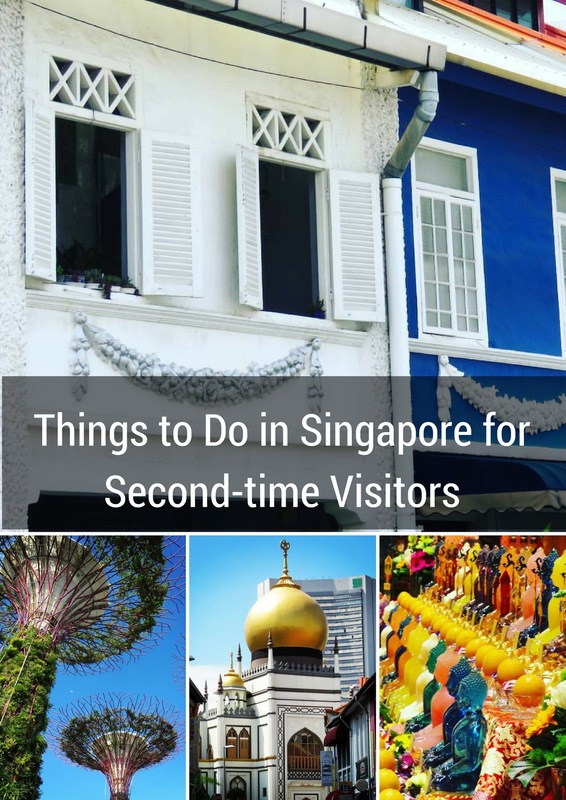 Here are some Singaporean highlights for second-time visitors. The Marina Bay area was not at all developed when we last visited Singapore. In fact, I would definitely put the Gardens by the Bay on a list of sites that first-time visitors to Singapore should see. The Gardens by the Bay features a cluster of over-the-top attractions. 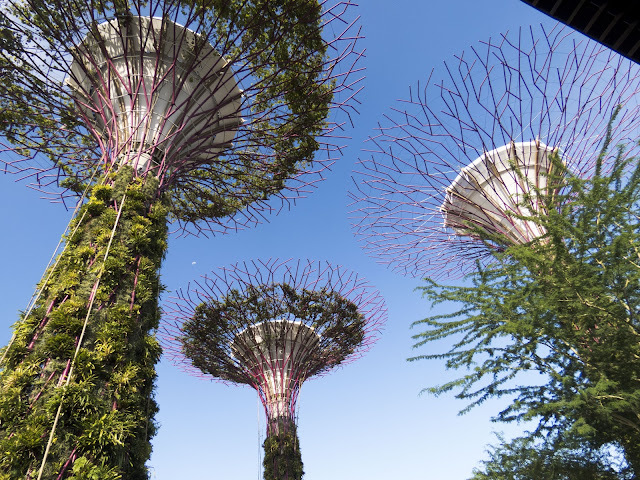 The supertrees are the most iconic element at the Gardens by the Bay. Giant man-made structures tower above the ground with foliage grafted on. The Cloud Forest at the Gardens by the Bay was pretty awesome. Located inside a giant dome (greenhouse), a waterfall and tropical plants dominate the scene. 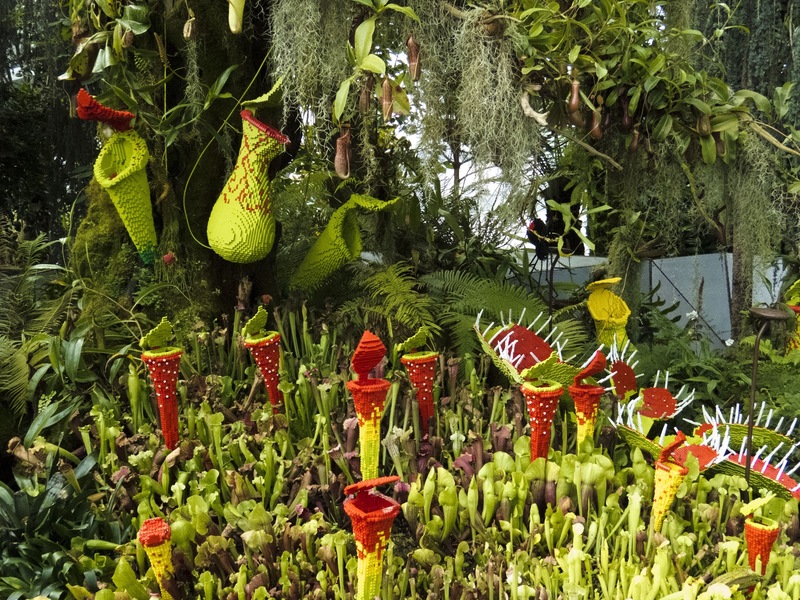 We even saw a lego display of carniverous plants. 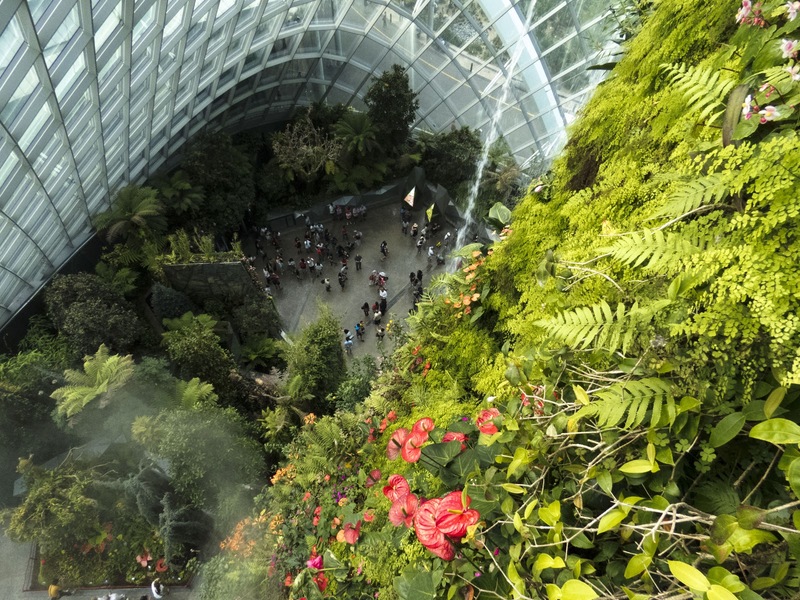 When exploring the Cloud Forest, you'll ascend a series of elevators, escalators, and staircases to reach the top and get up close to this tropical microcosm in the middle of Singapore. 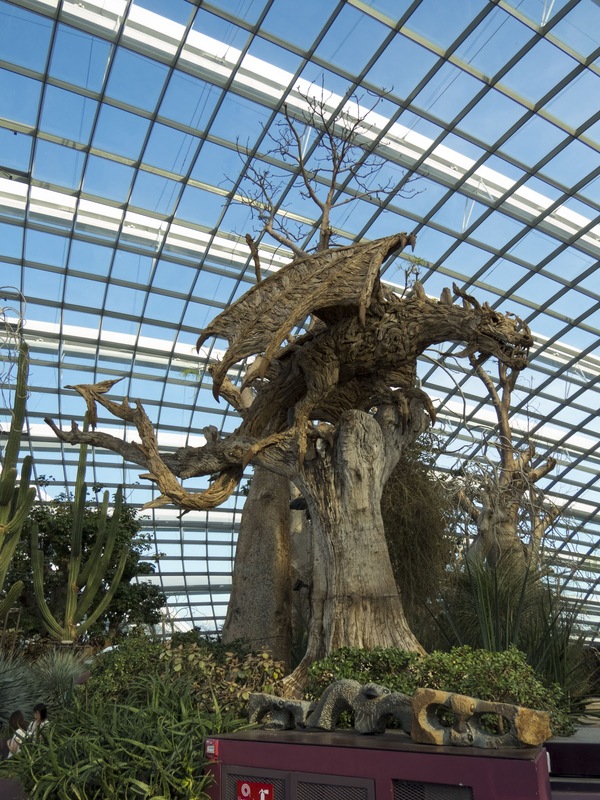 The Gardens by the Bay in Singapore also features an impressive botanical garden. Once again housed in a climate-controlled dome, you can explore nature in utmost comfort. 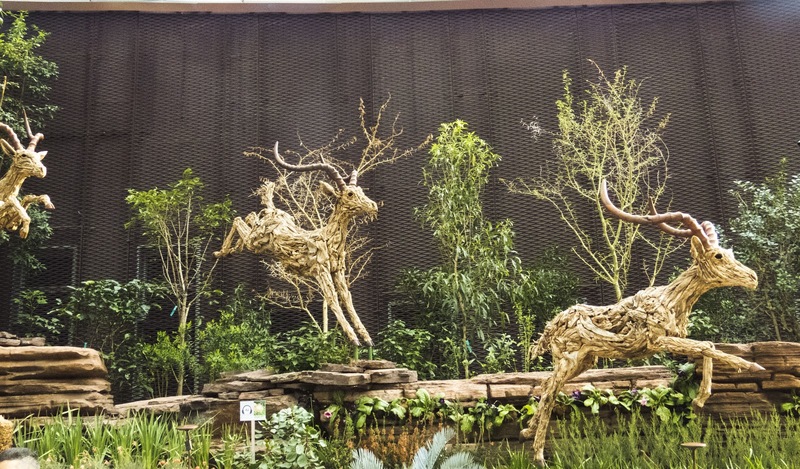 Wooden sculptures add to the atmosphere. 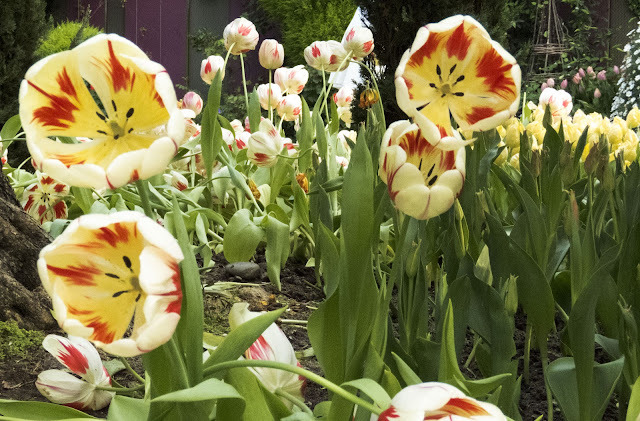 When we visited in May 2017, tulip displays were fashioned to resemble paintings by van Gogh. I've come to expect nothing less than over-the-top displays in Singapore so this turn of events didn't surprise me at all. We happened to visit the Gardens by the Bay on May 4th and arrived just in time for the May the 4th be With You Star Wars event. Characters were on hand for photoraphs and you could queue up for a picture with Chewbacca himself. When the sun went down, the supertrees lit up and we were treated to a Star Wars themed light show. 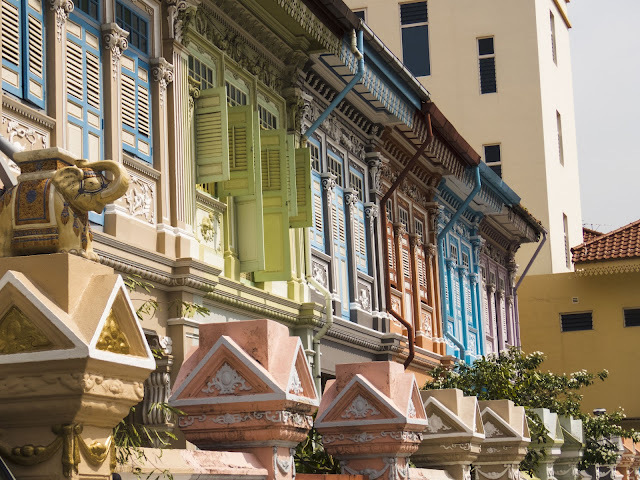 We spent a fair bit of time in Singapore's Chinatown. The Buddha Tooth Relic Temple is worth a stop. See countless colored glass Buddhas lined up in the center of the hall. It was a striking display. Chinatown is also home to the Maxwell Road Hawker Centre. I also recommended Maxwell Road's street food centre in my previous post. It's worth stopping here whether you are a first, second, third, or infinite visitor to Singapore! I always go for a nutty pancake and kopi (Singaporean coffee optionally made with sweetened condensed milk). Get your fill of street food in Singapore without fear since the industry is heavily regulated and all the food stalls prominently display their health rating. We stuck with A and B rated establishments and our stomachs thanked us. 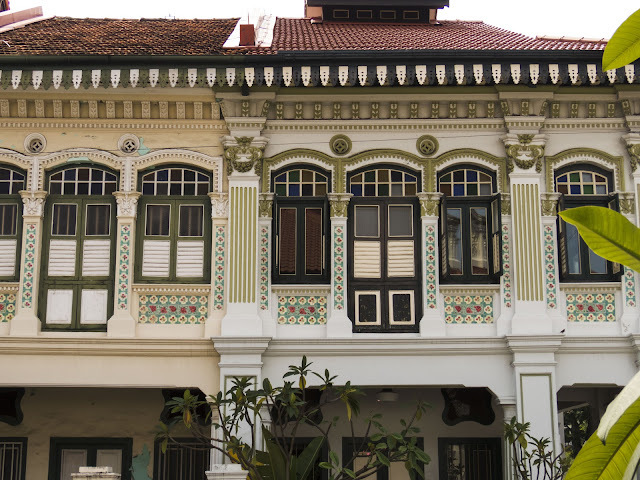 Kampong Glam is a fascinating neighborhood in Singapore that we missed on our first visit. Grab a coffee at Tolido's Espresso Nook to fuel up before a walk around this section of town. 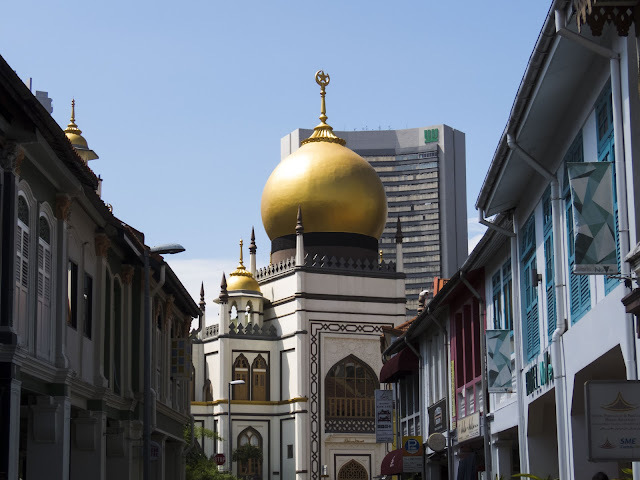 Kampong Glam is anchored by Masjid Sultan or Sultan Mosque. A variety of shops and Halal restaurants crowd the streets around the mosque. For a more local and slightly edgier take on street food stalls, check out Geylang Serai. We sampled a cakey, coconut flavored dessert which was outstanding after tasting a Malaysian laksa. Pro-tip: look for the stalls that have the longest queues to figure out which food is best. From Geylang Serai, we made a foray into Katong and Joo Chiat. This primarily residential neighborhood of Singapore features historic and colorful Peranakan shophouses. 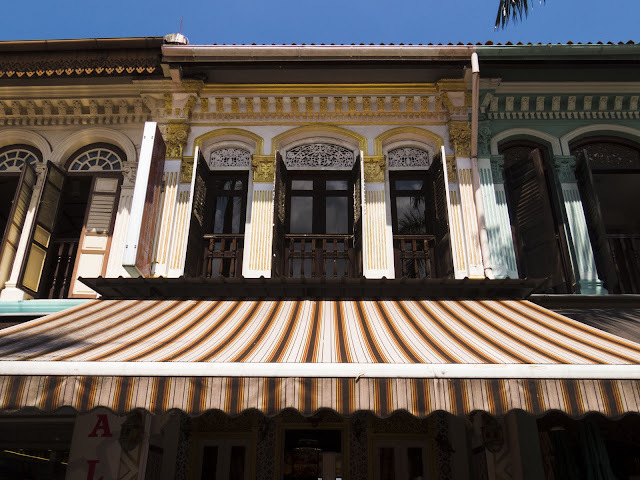 For more on things to do in Katong, head on over to the Rustic Nomad. Singapore's Marine Parade neighborhood is walkable from Katong and Joo Chiat. We stumbled upon a hawker stall selling huge portions of ice kachang, a Singaporean dessert featuring flavored shaved ice, jello, corn, and beans. I remember being fascinated by ice kachang on my first trip to Singapore and had to give it another go this time around. This huge dish of sweet Singaporean goodness cost just 2.50 Singaporean dollars. We decided to walk off our ice kachang dessert along the beach at East Coast Park. East Coast Park was a fascinating spot for people-watching in Singapore. We visited on a Sunday and tons of locals were out hanging out with friends and having a picnic. Fort Canning Park is a huge greenspace in the center of Singapore. It's a great spot for a walk, especially when the sun starts to go down and the heat of the day eases off a little. We spotted eagle-eyed birds as we skirted the paths winding up and around this hilly park. 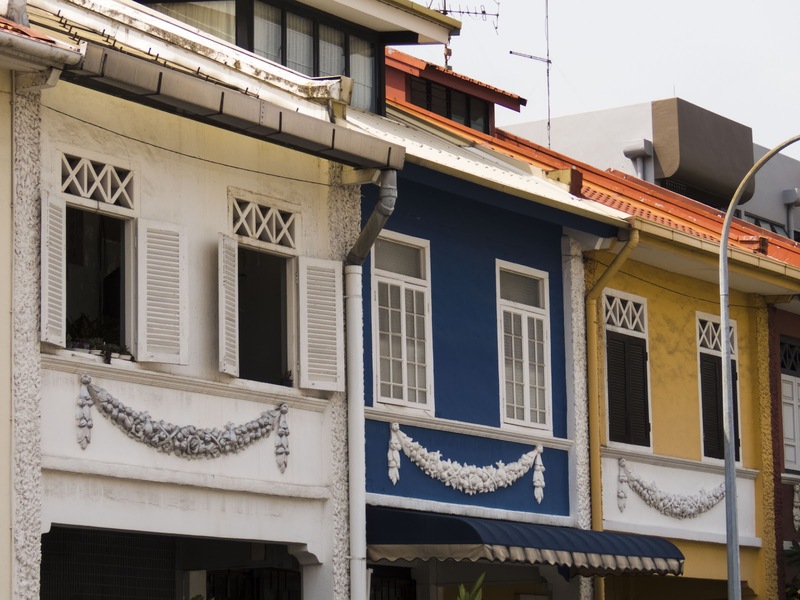 Tiong Bahru is another less touristy neighborhood in Singapore. Tiong Bahru was walking distance from our hotel and we spotted colorful kingfishers and even a ruined gravesite. 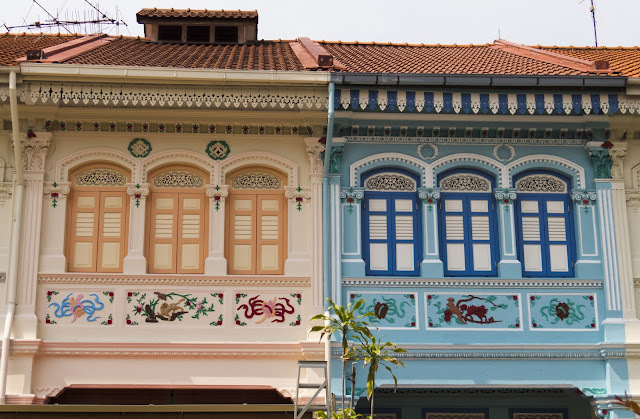 Tiong Bahru had a cool local vibe with colorful street art and a bit of art deco nuances. Tiong Bahru Bakery is a must-stop spot in the neighborhood. We sampled the chocolate Kouign Amann which was flaky, buttery, and simply amazing. As second-time visitors to Singapore, we had the luxury of playing it cool like the locals do. Brunch is popular in Singapore and we queued up at Common Man Coffee Roasters. The coffee at Common Man was outstanding, as you might expect, but the food also really hit the spot. Gourmet pancakes will satisfy your sweet tooth and eggs with savory greens have got you covered if you're looking for a healthy breakfast that packs a protein punch. To be honest, Clarke Quay feels a little bit fabricated in a Disney sort of way. Restaurants and bars sit in the shade of the canopy along the Singapore River. Clarke Quay is admittedly a great spot to grab a well-priced drink during happy hour, especially if you are staying nearby. Since this was our second visit to Singapore, we had the luxury of slowing down a bit. We decided to walk from Orchard Road to our hotel near Clarke Quay when we discovered WooW. Singapore is hot and humid year round so any opportunity to take the edge off with a cool dessert is always welcome. I couldn't resist trying the rainbow snow at WooW. The dessert was extremely refreshing and extra-awesome when served in an inflatable unicorn cup-holder. MacRitchie Reservoir is where locals and expats go for a hike. We charted a course through the trails around the reservoir. We were hoping to see the monitor lizards that are known to frequent the area. 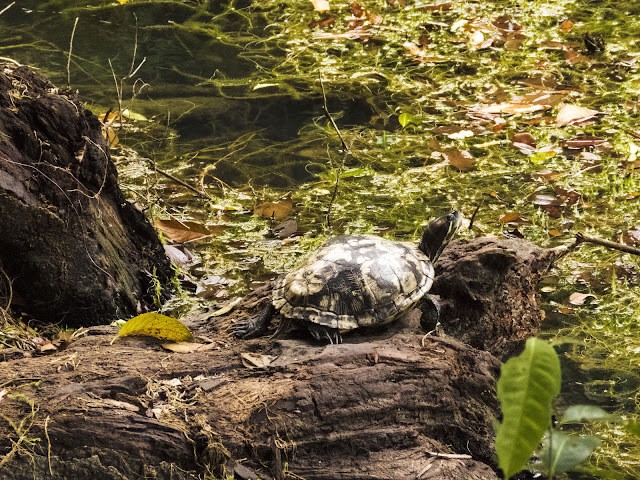 Alas, the monitor lizards were elusive that day but we did see some cool turtles and curious monkeys. Have you been to Singapore more than once? What off-the-beaten-path ideas do you have for a second-time visitor? 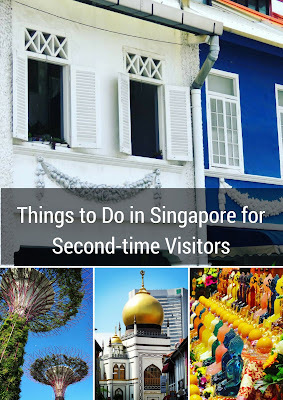 Learn about things to do in Singapore if you've been there before. 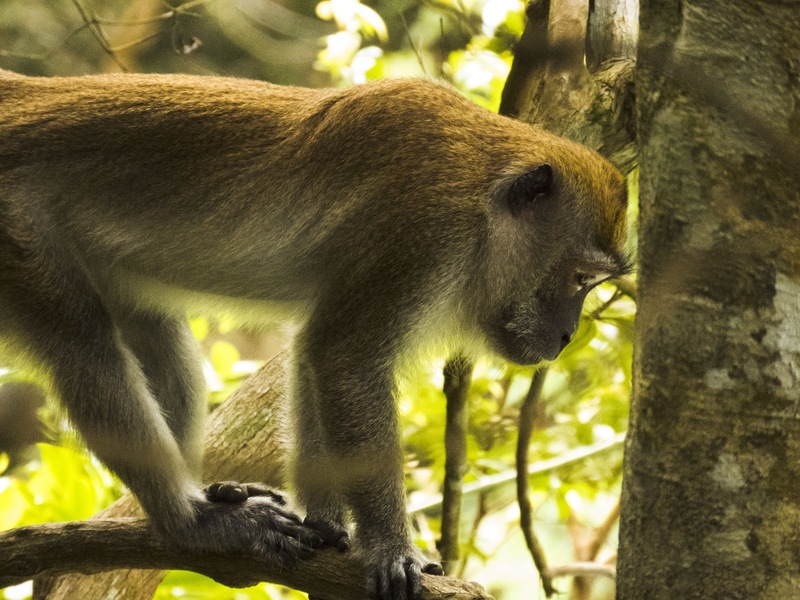 A photo-rich post by travel blogger, Jennifer (aka Dr. J), from Sidewalk Safari.